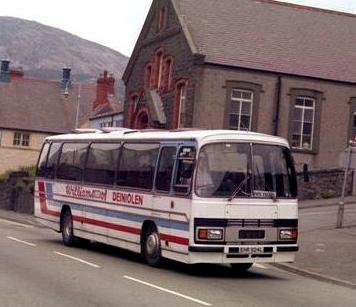 Bristol RELL6G NLJ 828G taken at the Bangor terminus of the route to Dinorwig high above Llyn Padarn on 13th June 1989. (photo supplied and copyright Darran Moss). 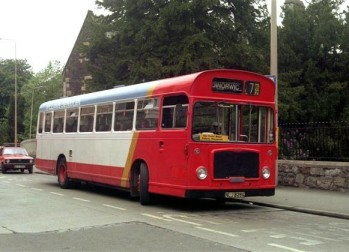 Seen at Penmaenmawr on 12th June 1989 is this Duple Dominant bodied Leyland (??) EHR 924L.